Authors note: The history of the Vachell family at Coley Park is at times very difficult to decipher and date correctly due mainly to the fact that it involved many descendants with the same name of Thomas Vachell. Throw in some cousins and nephews with the same name and it gets even more confusing. The following brief history is as correct as I can possibly attain. However the text is updated or expanded as more precise information comes to hand. Many thanks go to David Nash Ford for his marvelous efforts in recording the history of Berkshire. Early records show that members of the Vachell Family owned the estates from 1309 until 1727. A total of 418 years. The Vachell family owned many estates in Berkshire, including Coley Park, Southcote, Aldworth, Streatley, Tilehurst and Whitley, and later acquired estates in Oxfordshire. The surname was originally spelt as 'De La Vache' with the Vachell family motto being supposedly derived from an argument with the Abbot of Reading in which one of the Abott's monks was killed. John Vachell (1287-1340) married Alice <surname unknown> (c1300-c1342+). They had two sons: John and Nicholas. John is said to have purchased lands in Coley which included the area now known as Coley Park, from Thomas Syward of Reading in 1309. The family motto 'Tis better to Suffer than to Revenge', is said to have come from an incident which took place here in the 14th century. John Vachell was in dispute with the Abbot of Reading over rights of way through the former's estate. The Abbot sent a monk to test his rights with a load of corn. In a fit of rage, John Vachell killed the poor man. Vachell was excommunicated, heavily fined and given this unusual motto. Part of the Vachell's Tilehurst estate was forfeited to Reading Abbey. There were rumours of sightings of a ghostly monk figure over the years, especially from residents of Coley Park. Could the ghost of the murdered monk still haunt the estate? John Vachell inherited the estate after his father died in 1340. John Vachell (born c1330). John married (wife unknown) and had two sons: Henry and Walter. John held land in Tilehurst, Reading and Coley; and he also had a house at Coley, but the location is not known. John was later knighted Sir John Vachell. Unfortunately, both John's sons died young without issue (no children), so his brother Nicholas become heir after Sir John's death. Nicholas Vachell (born c1332). Nicholas married and had one known son, William. His wife's name is unknown. William inherited the estates in c1411. William Vachell (born c1380-1481) married Margery <surname unknown> (born c1400). They had two children: Thomas and William. Thomas being the eldest son was the next heir to the estates. Thomas Vachell (born c1430) married Elizabeth Cockworthy (born c1450). They were married about 1480 (Thomas was around fifty years old) and had three children in the next four years: Thomas, Oliver and Margaret. Thomas being the eldest son was the next heir to the estates. Thomas would have inherited the estates around 1495. Thomas Vachell (c1480-December 9,1553) married Agnes Justice (c1500-1554). They had nine children: Elizabeth, Bridget, Thomas, Margaret, Walter, Alice, Frances, Anne and John. Thomas being the eldest son was the next heir to the estates. Thomas Vachell, Member of Parliament for Reading, was the commissioner responsible for the suppression of Reading Abbey, when it fell prey to Henry VIII's dissolution of the monasteries in 1539. Thomas also in the service of Thomas Cromwell, Vicar-General to Henry VIII (who had assumed the title of Supreme Head of the Church of England), assisted a Dr John London (commissioner reporting to Cromwell) throughout the dissolution. After the fall of Reading Abbey, Thomas was appointed custodian of the abbey plate, vestments, hangings and other valuables. On Tuesday 19 September 1539, Reading Abbey was formally dissolved. The Abbey was taken over for secular uses. The commissioners who came to dissolve it were entertained at Thomas Vachell's House, and in Vachell's keeping were placed all the plate and other valuables removed from the abbey for the future use of the King. Reading Abbey had been one of the most important and wealthiest Abbeys in the country and was the size of Westminster Abbey in London. It was progressively reduced to rubble and eventually became a stone quarry. The original construction stones being used in many other buildings at the time, including the restoration of St. Mary's Church in Reading and upgrades to Windsor Castle. Churchwarden's accounts of the time reveal that Vachell also purchased the roof of the abbey library for £6. Commissioner Vachell's son, also Thomas, remained a Catholic (recusant) and lived for more than seventy years after the dissolution of Reading Abbey. Thomas Vachell (1537-May 3,1610) inherited the estates in 1553. He married Katherine Reade (c1530-c1604) on 5 September 1546 at St. Mary's Church in Reading. They had one daughter, Anne, born in 1549. She died in 1565 at the age of 17. Thomas later separated from Katherine after forty years of marriage. Through his marriage to Katherine, Thomas acquired the manors of Ipsden, Huntercombe (3 miles ENE of Ipsden) and Ipsden Basset (near Stoke Row). But much of what he gained he later lost for refusing to conform to Anglicanism. Thomas built the first stately manor house on the Coley Park estate adjacent to the now Coley Park Farm location. Construction commenced around 1555. It was known originally as Vachell House or Manor, but was later known more commonly as Coley House. Prior to construction of the manor house, much of the estates and surrounding areas were farmland. The Vachell family already had a house (of some description) at Coley for more than 200 years, but whether it was located on the Great Coley Farm site or elsewhere is not known. Approximately ½ mile further down the Holy Brook rivulet towards Reading was Little Coley Farm (near the site of Coley Primary School on Wolseley Street). Upstream about ½ mile was Southcote Farm. All were part of the estates owned by the Vachell family. Thomas Vachell had a lot of input to the construction of the manor house and indeed was a noted builder of dovecotes. Thomas also built a fine dovecote at Ipsden House, constructed of flint and brick. Click HERE for more information on the Dovecote at Coley Park Farm. Thomas was a fervent Catholic and persistently refused to attend the Anglican church services. In March 1588 Thomas was ordered to pay £50 (= £5500 today) for not attending a Church of England service for at least a year. Michael Blount of Mapledurham was ordered to arrest Vachell and seize goods and property, and Thomas was ordered to pay the government land taxes on Berkshire and Oxfordshire estates. The seized property was given to his brother-in-law, Thomas Reade, and this ultimately led to his separation from Katherine. With pressure from the ruling Anglican church and to avoid losing the Coley Park estate through his recusancy, Thomas moved to live permanently at Ipsden House near Wallingford, Oxfordshire (which eventually was regained by the Reade family). Around this time Thomas and his brother John hid a huge horde of treasure at Ufton Court in Berkshire, where they are believed to have secretly attended mass. Sir Francis Knollys found some of their hiding places and a small fortune in gold plate in 1599, but the priests had gone. John Vachell of Burghfield, however later conformed to Anglicanism in 1593. On the south side of Hosier Street, which leads out of the west side of St. Mary's Butts, a building was erected in the late 16th century, known as Lady Vachell's house; presumably by Thomas and Katherine Vachell. By the 1920's the building was reportedly still standing but was in a very bad state of repair. As Thomas Vachell and Katherine Reade had no sons, the inheritance and all estates was re-granted to Thomas' nephew, another Thomas Vachell. Thomas Vachell (1560-1638) was the nephew of Thomas Vachell of Coley Park and inherited the estates in 1610 at the age of fifty years. 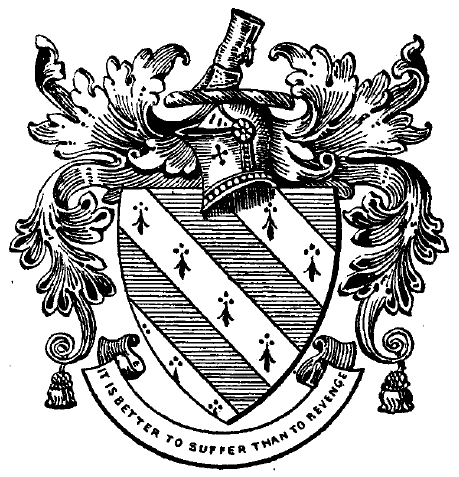 Thomas was the Sheriff of Berkshire in 1610 and was knighted Sir Thomas. Sir Thomas was a good friend of Oliver Cromwell who was a regular visitor to Vachell House at Coley Park. Note that Cromwell was only a minor player in the parliament at this time. New living quarters for servants and farmhands were added/updated nearby to Vachell House around 1612. It seems Battle Farm was also part of the estate at this time. Thomas was first married in 1590 to Alice Brook. He then remarried in c1600 to Sarah Lane and his third and lasting marriage was to the younger Lettice (or Letitia) Knollys (born c1591), daughter of Francis Knollys and Lettice Barrett, on the 23 September 1616 at St. Laurence's Church. Also in 1616, the Vachell family donated a new font for the church of St. Mary at St. Mary's Butts in Reading. The font features the Vachell coat of arms. In 1617 Sir Thomas Vachell, 'to whom a great estate of inheritance is descended within the parish' of St. Mary, was allowed by the churchwardens and parishioners to have 'a place, house or sometime used as a schoolhouse' on the north side of the church, which apparently had once been part of the church, for a family seat and burial-place. He and his successors were to pay a yearly rent to the church of £1 and were to keep the aisle in order. The first payment is recorded in 1619; the aisle became known as the Vachell aisle, and in it the Vachells were buried as long as they continued at Coley. Today this north transept of the church is known as St. Anne's Chapel. Sir Thomas had no-one of his name and blood to inherit the estates, so he convinced his nephew Tanfield Vachell (with conditions) to move to Coley Park and take up the estates on his death. Sir Thomas Vachell died in 1638 and was buried on 20 July at St. Mary's Church. A 'prestigious funeral' was held for Sir Thomas on 30 August 1638. After the death of Sir Thomas Vachell, his widow Lettice Knollys, married the prominent and distinguished Member of Parliament, John Hampden in June 1640. John Hampden owned large estates in Buckinghamshire, Oxfordshire and Essex which made him one of the richest men in England at the time. Born in London in 1594, John Hampden married his second wife Lettice Knollys (widow of Sir Thomas Vachell) on 24 June 1640. The marriage was short lived as John was killed during the English Civil War in 1643. John Hampden, being first cousin to Oliver Cromwell, were also good friends and associates in the english parliament. John Hampden also influenced Tanfield Vachell (nephew of Sir Thomas Vachell) to follow him in his parliamentary cause. Oliver Cromwell was an active member in the Short and Long Parliaments (1640), but made only a fairly unremarkable presence. He did not make a mark as a leader until the first English Civil War which started in 1642, where he proved his military ability and his genius for organizing and inspiring the parliamentary armies. On 4 January 1642, Charles sent his soldiers to arrest John Hampden and five other prominent parliamentarians who were at the House of Commons, for conspiring to remove powers from the throne. The five men managed to escape before the soldiers arrived. Many members of parliament no longer felt safe from King Charles and decided to form their own army. After failing to arrest the five members, Charles fled from London to Oxford. 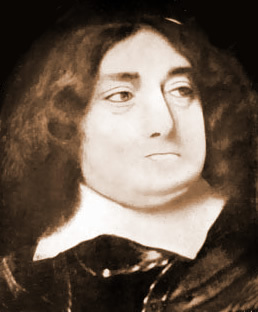 Aware that Civil War was inevitable, Charles began to form an army (known as the Royalists or Cavaliers). On the outbreak of the war, John Hampden raised a regiment in Buckinghamshire (known as the Greencoats) and fought with distinction at Edgehill, where on October 23 1642, the Parliamentary army stopped Charles' Royalist forces marching on London. Later Hampden also achieved distinction in the siege and capture of Reading in April 1643. It is said that John Hampton, Oliver Cromwell and Robert Blake (Cromwell's General at Sea), together with the Earl of Essex, held a Council of War at nearby Southcote Manor, which was used as the Roundheads headquarters, especially during the siege of Reading in 1643. Charles and his Royalist (Cavalier) forces had their headquarters at Oxford. The Parliamentary Puritans, with the Earl of Essex and Oliver Cromwell at its head, proceeded to oust Charles from the throne, and to bring about a republic government to England and the Commonwealth. On Sunday 18th June 1643, only three years after his marriage, Hampden led a body of his Greencoat troops against Cavalier troops led by a young twenty-three year old, Prince Rupert. Rupert halted his main body on Chalgrove Field, Oxfordshire, and ambushed the small Parliamentary force. Hampden placed himself at the head of a troop of horse and led a counter-attack, but in the ensuing battle, he was fatally wounded in the shoulder by gun shot. Accompanied by the faithful Goodwin he rode to Thame, where six days later, he died on his wedding anniversary, 24th June, in the house of Ezekiel Browne, later to become the Greyhound Inn. He was buried at the Church of St. Mary Magdalene in Great Hampden, Buckinghamshire. It is documented that King Charles 1 visited Vachell House at Coley Park at least once, in 1644 (believed to be 14 May 1644), where he was entertained (presumably not by Lady Lettice) and spent the night, during the time when the Royalists troops were occupying Reading. Lady Lettice Vachell remained at Vachell House in Coley Park until her death in March 1666. Tanfield Vachell (1602-1658), inherited some of the estates after the death of his uncle, Sir Thomas Vachell in 1638. Tanfield had earlier agreed to marry Anne Cox of London, so that Sir Thomas would pass on his inheritance to him. Lady Lettice held 265 acres and still lived at Coley, whilst Tanfield only held 197 acres at Coley and lived at a house on the ancient site of Grey Friars in Reading. Tanfield was born in 1602 at Gayton, Northamptonshire, and was the only surviving son of John Vachell of Warfield. In his younger days Tanfield had studied at Oxford with his distant cousin Thomas Vachell, also of Gayton, Northamptonshire. In 1622, at twenty years old, Tanfield achieved his BA from Exeter College. Tanfield Vachell was a Member for Reading in the Long Parliament and became High Sheriff of Berkshire. Beyond sitting on various committees for the Parliament, he does not seem to have taken any active part in the affairs of those times, but to have devoted himself to the collection of rare pictures, books and curios. After the end of the Civil Wars in 1651, Vachell House was in a bad state of repair. Tanfield proceeded to rebuild the main house. Gardens were laid out in a geometrical pattern of paths, flower beds and fish ponds, being influenced by the Dutch fashion at that time. In 1651 Tanfield's wife Anne died. They had no children. Tanfield remarried in 1652 to Rebecca Leman, daughter of Sir William Leman, Parliament’s Treasurer of War. Tanfield Vachell was buried in St. Mary's Church in Reading on 1st June 1658. Unfortunately a codicil to Tanfield's Will executed in his last sickness, led to about fifteen years' litigation between his widow and his heir, and eventually, after calling in the Lord Chief Justice and the Lord Chief Baron and various civilians, the case was decided in favour of his heir. It is still a leading case — Vachell v. Leman. The last entry of a Vachell in the registers of St. Mary's Church in Reading, is for Madame Vachell, widow of Tanfield Vachell, buried on November 17, 1726. (Reg. St. Mary's, Reading, ii, 160). Thomas, the son of Tanfield's late cousin of Upton, Berkshire, took possession of the family estates at the age of 15. He died in 1719 without marrying and the family estates passed on to his brother, William. For the first time in almost 420 years the estates were not passed down to a Vachell, but was sold by William in 1727 to a Colonel Richard Thompson. The estate by this time was heavily encumbered, so William had no choice but to sell the estate.